Mentioned in passing in all the Windows 10 Insiders fun at the weekend was that for many Windows Phones, the transition to '10' couldn't be achieved without an intermediate update, to Windows Phone 8.1 Update 2. Which is interesting for several reasons, not least because this wasn't scheduled to come to most handsets (outside the USA) at all. 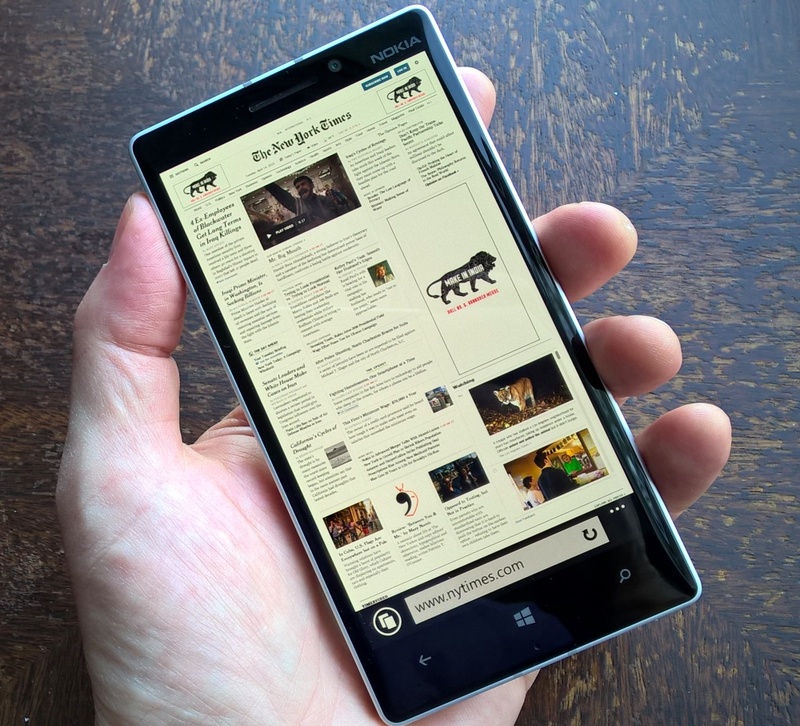 And because it provides a unique opportunity for anyone with a Lumia 930. Grab it with both hands. You see, in most case the journey to the Windows 10 Insiders builds carried on, short of some hacking and frantic cancellation. However, in the case of the Lumia 930, still the flagship Windows Phone of 'normal' size, a quirk of Windows 10 development and testing meant that the 930 wasn't on the approved list of handsets to get the full route through to 10 - at least not yet. Something to do with interface scaling on the 1080p pentile screens. And yet, and here's the final crucial part, although the 930 wasn't 'provisioned' for to get the full update to '10', it WAS provisioned to get the intermediate update to 8.1 Update 2*. 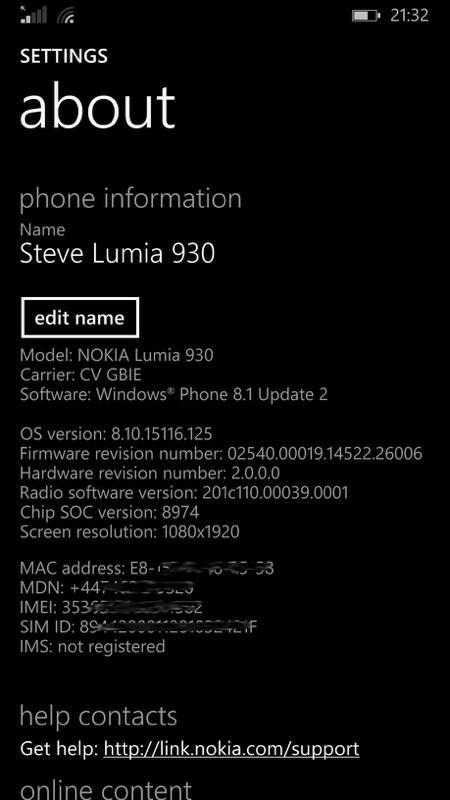 Conspiracy theorists might even think that this is all a way to get Windows Phone 8.1 Update 2 out to Lumia 930 owners without having to go through networks and other approvals - but that's going too far. 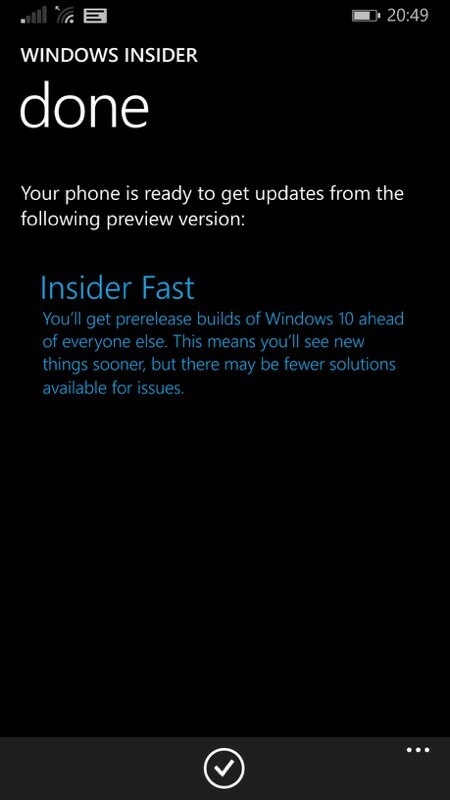 The Lumia 930 is simply benefitting from a slight loophole in the Insiders programme - owners can move their handsets to 'Update 2' without fear that they'll have the (currently) unfinished mess that's Windows 10 thrust down their throats. * though curiously not, apparently, the Icon in the USA, maybe something to do with Verizon's involvement? So, aside from the fact that newer is usually better (less bugs, etc. ), and without wishing to regurgitate the whole of previous articles, why would you, as a Lumia 930 owner, want to follow me into (technically unsupported) Update 2 uncharted waters? 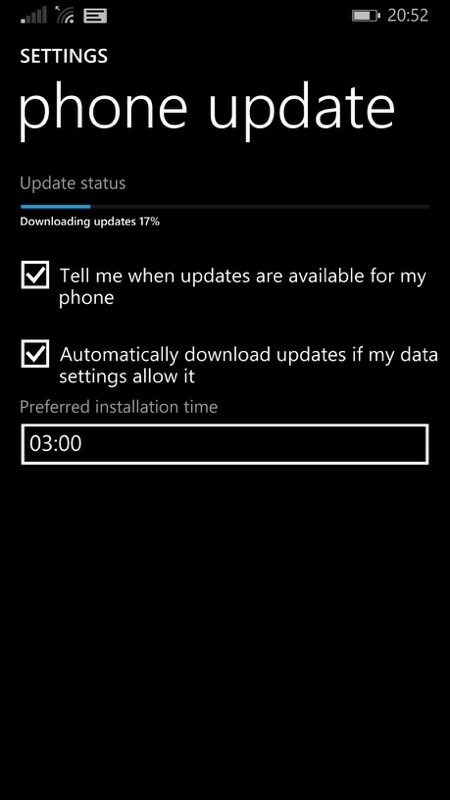 After all, this update wasn't supposed to be coming to most phones at all, mainly because the functionality bump wasn't deemed large enough given that it was all going to be replaced by Windows 10 in the Autumn/Winter anyway. The huge update to the Bluetooth Stack, adding MAP, HID 1.1, HOGP and Absolute Volume Control support. The HID profile is the most interesting, as Bluetooth keyboards now work with Windows Phone (and about b****y time, most will say). There's a very slight glitch in that that you have to wait a few seconds after establishing the connection to the phone before characters get transmitted, and reconnections can sometimes be problematic, but once connected and transmitting it works fine. 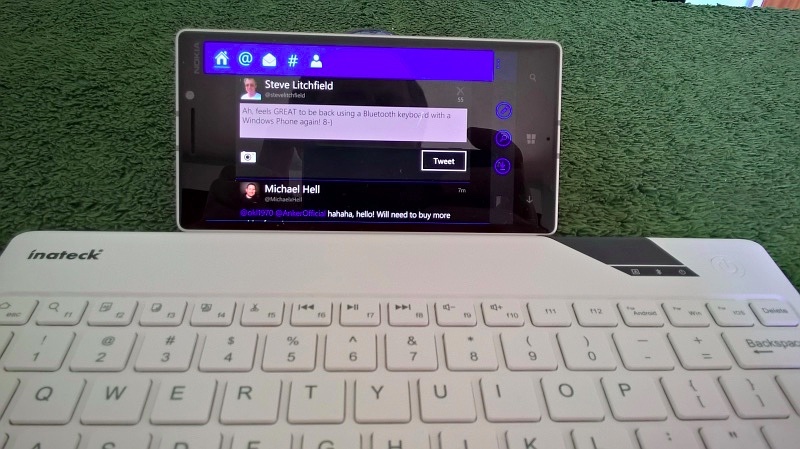 Being able to type on physical keys rather than virtual ones may seem like a trivial gain for a big physical/portability loss, but the benefit is when working with documents, since you don't lose half the screen for the virtual keys - the whole of the display can then be used for content and a Bluetooth keyboard almost turns your Windows phone/phablet into a miniature laptop. The other Bluetooth improvements may seem a little under the hood, but AAWP friend Richard Castle reports that he can, with Update 2 on this 930, now press and hold the "voice command button" on the steering wheel on his company car (BMW iDrive) and Cortana fires up instantly. Previously he had to "dial" Cortana using a speed dial which was quite laggy. The new functionality make Cortana feel very integrated which is "lovely". It means he can turn off the "use alternative Bluetooth for voice" option which forces the phone to use the old speed dial route. He also reports that the car is now picking up the text messages from the 930 and displaying them on the screen. He can then send and receive from the car's computer. Internet Explorer is faster - I know 'seems faster' is a cliched comment on update stories, but it's true here, it's very noticeable. I'm suspecting a new rendering engine? I don't have two 930s here, so I can't do an exact comparison - data points welcome if you too think IE is faster. Or indeed the same, refuting my claim! 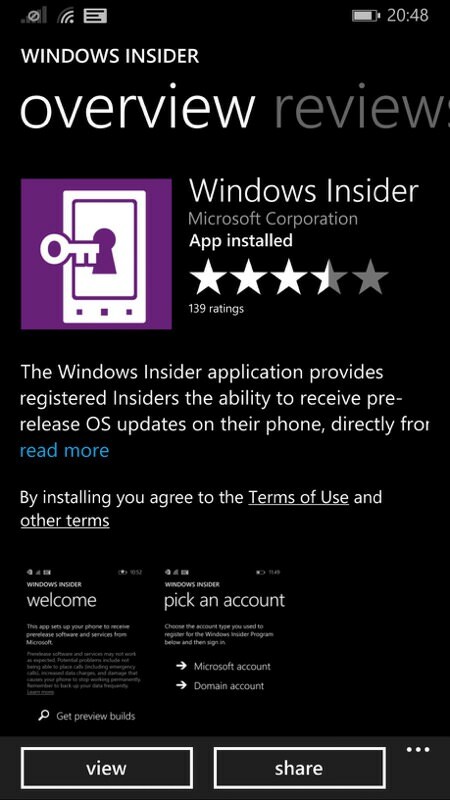 Application permissions - you can now customise which Windows Phone sub-systems can be accessed by each application. This is well beyond normal user territory, but should be useful for troubleshooting a problem, at least. I can change my phone name from 'About' in Settings now. A small thing, but a nice touch. I joined the Windows Insider Program (ok, I did this a few months ago, but you may need the link if you haven't used it yet!). 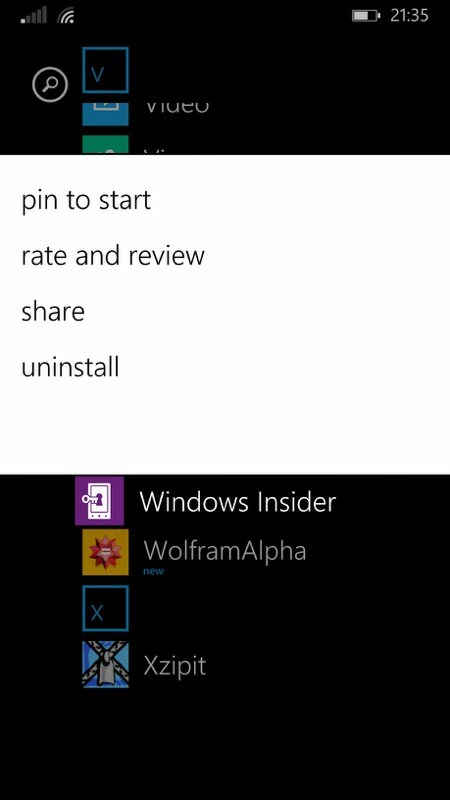 I downloaded the Windows Insider app in the Store on the 930 and accepted the conditions. 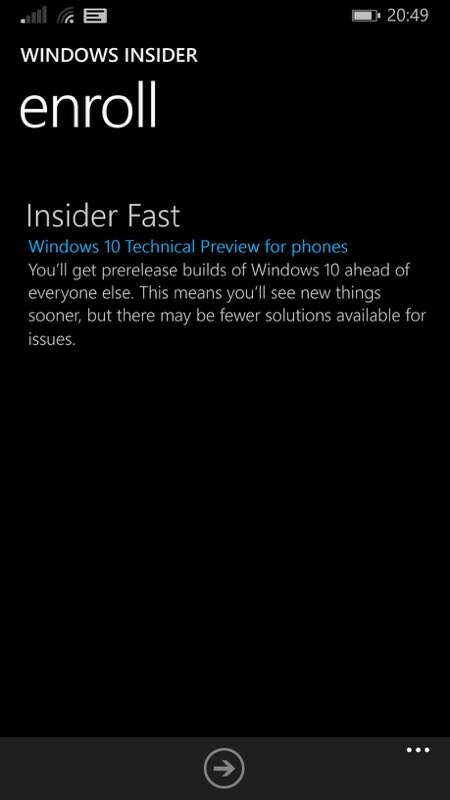 When choosing frequency of updates, only the 'Insider Fast' ring was shown as available, but that's fine for our purposes here. I cleared a few Gigabytes of space on the 930's internal disk. I went with 5GB free, just in case, but you should be OK with just 2GB. I went to 'Settings/phone update' and then 'check for updates'. Lo and behold, updates started downloading and installing. 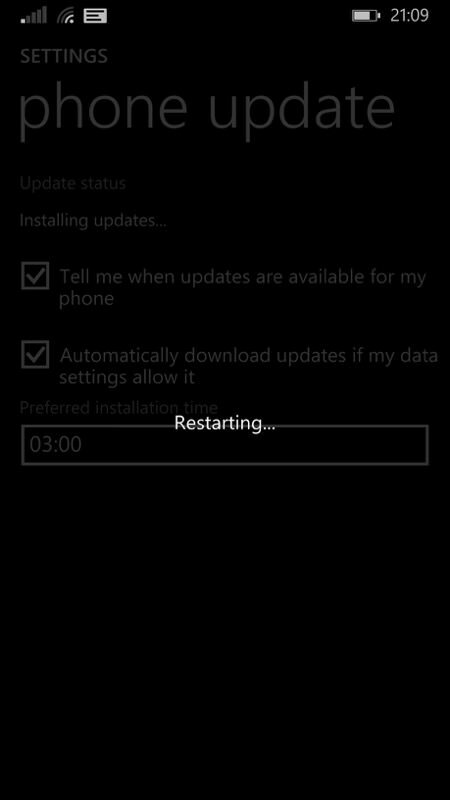 When prompted to 'Install', I did so, though note that once you tap this then all bets are off in terms of cancellation - you're then into the usual 'spinning gears' and 'migrating' restart cycle, which will end after about 20 minutes when the firmware is updated. If you don't want to follow our link above then just search the Store, as I did here. 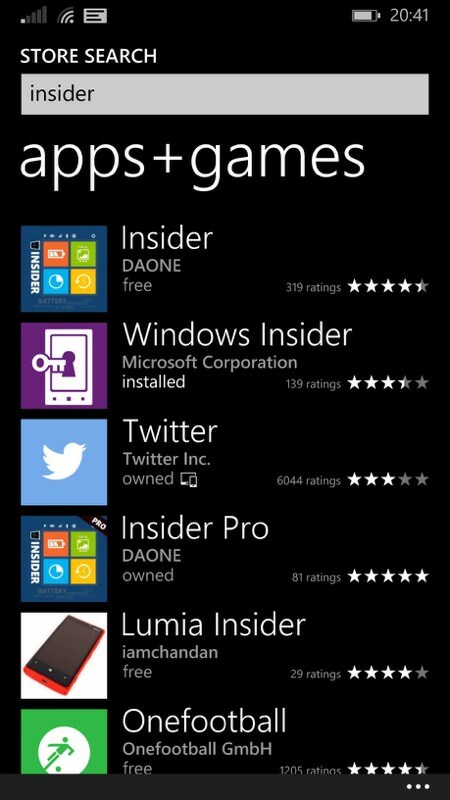 It installs in the same way as any other application. After launching, you'll be prompted for your Microsoft account login details and then it's into choosing the 'fast' or 'slow' rings for updates - though in my experience just one is shown! Confirmation of the platform now in place in firmware, plus the new 'edit name' function; (right) it's also worth uninstalling the Windows Insider appliction - just in case it helps deflect the possibility of Windows 10 arriving prematurely! Existing applications and data are all maintained, this is just an update to the OS partition within the phone. Though note that if you did want to go back to Update 1 (can't think why, Update 2 seems very stable), you'll have to use the Microsoft recovery tool and accept that you'd have to do some reinstalling and setting things up all over again. Comments welcome from other 930 owners. With the recent additions of Denim, Lumia Camera 5 (et al) and now an easy further upgrade to 8.1 Update 2, it really does seem as if the Lumia 930 is going from strength to strength, despite its relative age. PS. Of course, there's the nagging worry that, as and when the Lumia 930 does get provisioned by Microsoft for Windows 10 Insiders, you'll get a beta of that pushed out. To which I'd say that a) you can always choose not to 'Install' such an update, and b) if you uninstall the Windows Insiders application then clever money has it that the update system won't go looking for the beta firmwares in the first place. But obviously we won't know for sure for a few weeks or months!